Toronto truly is an amazing city to live in full of art, music, culture and radiating energy at all hours of the day and night. We can help you find the home you are dreaming of, and we can also find the right person to buy your home in this multicultural oasis that has something for everyone. No matter who you are, what you do, or where your interests lay, you can bet there is a place for you in Toronto. The locals are friendly and helpful. The city is easy to get around with subways, street cars, sidewalks, highways taking you through every nook and cranny of the city, you might want to explore. The markets and shopping that you find in Toronto are of the best in the world. From high-end clothing and furniture stores to unique one-of-a-kind shops in Kensington Market you’ll find everything you need and more. Let us help you find your place in Toronto. Our agents are a wealth of knowledge when it comes to finding the right place, in the right neighborhood, at the right price. The city is full not only of must-see attractions like the CN Tower but of scenic green spaces with 50km’s of waterfront with parks, trails and beaches making it easy to dive into excitement or kick back and relax. 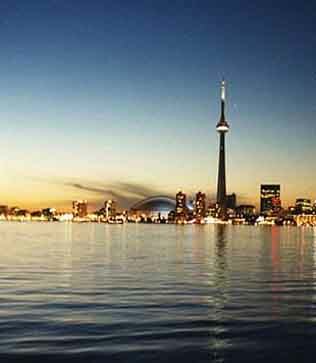 It’s time for you to call Toronto home, let us find you your perfect place today. Life in Toronto is waiting for you.